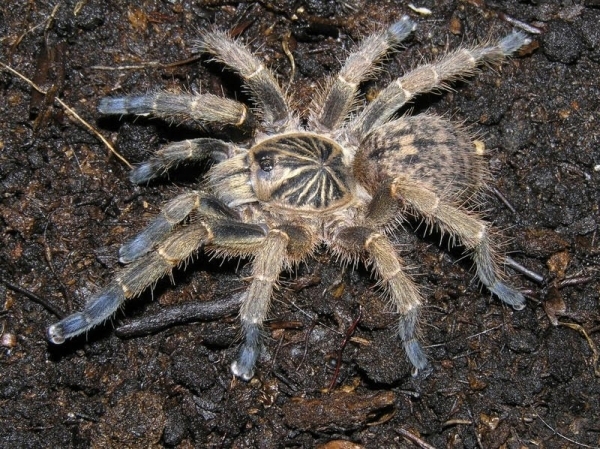 Avicularia diversipes (C.L. 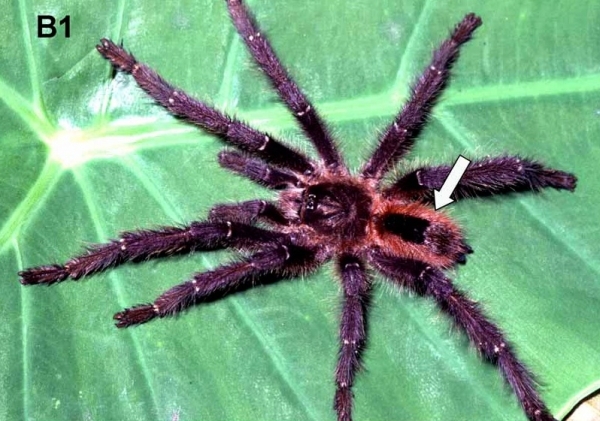 Koch 1842) known previously only from its original description is redescribed along with Avicularia sooretama sp. nov. and Avicularia gamba sp. nov. The three species are endemic to Brazilian Atlantic rainforest. With other Avicularia species, they share a procurved anterior eye row, slender embolus and medially folded spermathecae, whereas they have unusual characters, such as a very long and spiraled embolus (A. diversipes) and spermathecae with multilobular apex (A. sooretama sp. nov.). ...is there such a thing? The answer is: yes. 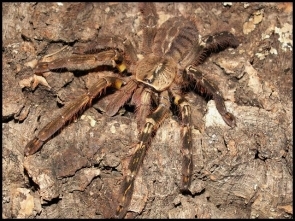 The phenomenon when a spider covers its burrow with a so-called "trapdoor" is well known and characteristic in some mygalomorph families (e.g., Antrodiaetidae, Ctenizidae) and in the family Liphistiidae, but we can also find a few examples of this behaviour in the tarantula family: Theraphosidae.